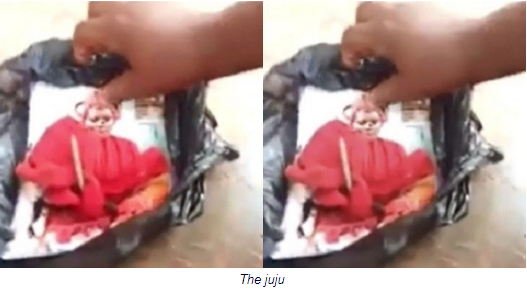 A lady couldn't believe her eyes after she discovered her picture pinned with nails and juju by her mother-in-law. 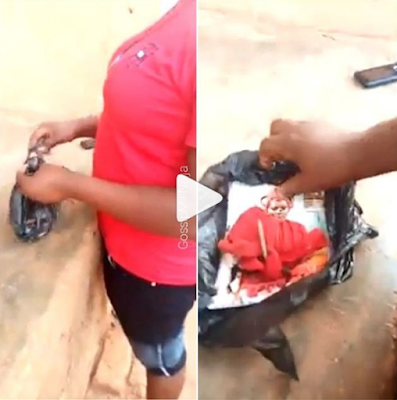 The Nigerian woman raised an alarm after the shocking discovery right in her mother-in-law’s cupboard. The incident reportedly happened in Edo state. In the clip, the mother-in-law was made to carry the charm out of the house by herself as the fear-stricken daughter-in-law raised alarm.